Hi! We are Gene and Mary. Our adoption journey began in January 2011 when we felt our call to adoption while listening to another adoptive mother speak on the anniversary of Roe vs. Wade. Exactly 9 months later, our precious daughter, Addie, was placed in our arms. Her birthmother desired for her to have a family who could give her the life she could not offer her child. We are still humbled by our daughter's birthmother's choice in choosing us to be Mommy and Daddy to her precious child, our Addie! After seeing God work miracles for us to grow our family through adoption, we decided to continue our adoption story. Our beautiful son was placed in our arms exactly 3 years after Addie was born. Our son, Thomas, also has a brave birthmother who entrusted her child's life to us, and we are humbled and forever grateful to her! Our children, Addie and Thomas, are truly miracles in our lives and the lives of everyone around them. 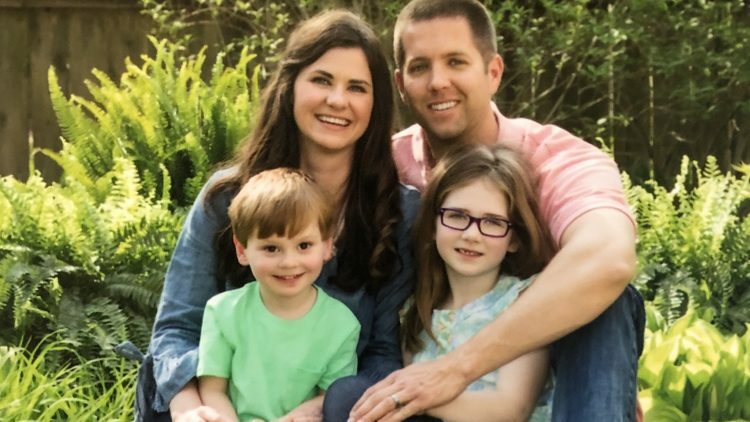 Experiencing life through their eyes and abundant love through raising Addie and Thomas, we feel called, once again, to continue our adoption journey. We truly believe God will bless us and this world with another precious child through adoption!